Here are our top 9 Facebook Live ideas for business from 9 businesses who really did it. 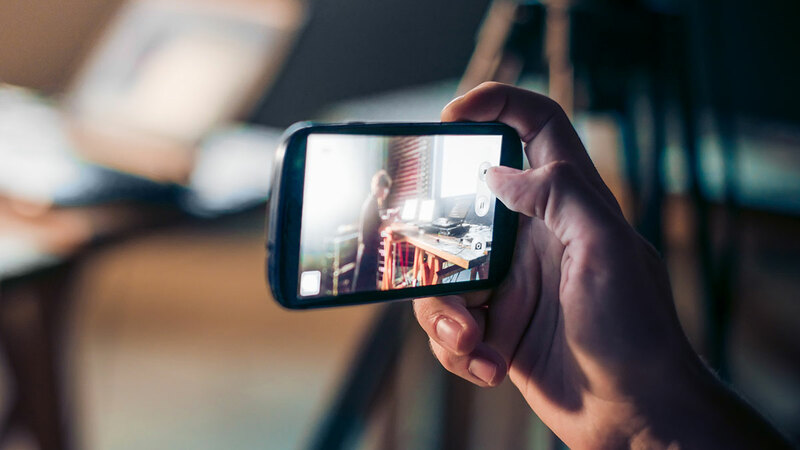 With video marketing on the rise, coming up with a catchy and attractive video can be a huge challenge for those who lack the time (and money). That's where the beauty of Facebook Live comes in. Making its debut in 2016, the service has enabled users to make videos that stream live using only a minimum of your smartphone's camera to capture it. But as intimidating as streaming live might be, there is a variety of brand-boosting benefits to using the service that will only make you seem more trustworthy and credible as a company. One of the most amazing opportunities Facebook Live offers is the ability to engage with your followers. With reactions, comments, and viewer numbers shown in real-time, you can prompt responses by asking and answering questions in your broadcast. Facebook's newsfeed algorithm also favors Live videos so if you've got an important message to get out, this is likely a better option than a traditional text update. Still not sure how to get started with Facebook Live? To help generate some ideas, check out this list of several brands and persons using the platform to create viewer engagement, deliver desirable knowledge, and promote marketing campaigns. Regardless if your business is large or small, each of these ideas can be utilized and recreated as a variation to fit your business. Everyone knows Starbucks for their addictive and wide selection of refreshing coffee & tea and delectable treats. Back in September of 2016, Starbucks took to the road to embark on their first live event at Rufus King Park in Jamaica, Queens, NY for National Voter Registration Day. Broadcasting this event Live had several advantages. First, it brought attention to Starbucks' involvement in the community and allowed viewers who wouldn’t otherwise be able to make the event learn about its importance and its cause. The broadcast began with a couple representatives of Starbucks touring the grounds of the park and introduced a variety of people participating and volunteering. Soon after, their attention turned to a stage where Starbucks chairman and CEO, Howard Schultz and rapper, Common talked about the importance of voting. Prior to the start of the event, Starbucks representatives encouraged viewers to send in questions to promote engagement. As promised, the reps later interveiwed the two men, which helped encourage viewers to stick around to see if their question was asked and what those responses might be. When it comes to cooking or crafts, Martha Stewart is known as a go-to leader. Knowing this, she’s expanded her digital outreach to Facebook Live. Here, she has streamed various videos showcasing how-to’s, recipes, AMAs, and even some behind the scenes of her daily life, but it’s her tutorial videos that really take the cake. In the example below, Martha hosts a festive tutorial video in preparation for the holidays, sharing outdoor decorating ideas with special guest Kevin Sharkey to assist her. One huge win for this video is how the entire tutorial uses products from the Martha Stewart collection that you can find exclusively at the Home Depot. As the video progresses, Martha consistently reminds viewers about where to get the various products and talks up the features each item offers. Since, unless you're staring at your phone screen know when people are entering at Facebook Live or how long they're staying, the video occasionally has a small unintrusive banner that appears at the bottom of the screen advertising the Martha Stewart Collection and directs users find it at The Home Depot. This acts as a call-to-action of sorts, giving people the opportunity to convert no matter when they tune in or out. At the end of the broadcast, Martha and her guest also do a Q&A to keep users engaged and sticking around if they are interested. Many of us are no strangers to having to come up with creative strategies for a marketing campaigns. If you’re someone that is in that boat, then I highly recommend checking out the next video on our list from the ASPCA. Back in October of 2016, which happens to be Adopt a Shelter Dog Month, the organization launched their #31DaysOfRescueDogs campaign. To promote it, some of the volunteers decided to go on a walk with several of their adoptable (and adorable) pitbull puppies around New York City. With the walkers wearing bright orange shirts, and the dogs in orange handkerchiefs, they were a hard group to miss -- in person or in the video. Their bright colors helped them to stand out among busy crowds. People they walked by would consistently take photographs and even share their photos and advertise the campaign on social media, ultimately spreading awareness. During the broadcast, the host of the stream would continuously remind those watching the reason behind the walk and would encourage people to take part in the campaign, generating more donations from the Facebook audience. If your campaigns that have the ability to utilize assets that may peak bystanders curiosity, taking it to the streets with a Live video may be a worthwhile way to spread your message. Critiques, like IMPACT's Website Throwdown, offer a fantastic avenue for users to get personal feedback from experts in a variety of fields. While you traditionally see this more in a face-to-face format, Trey Ratcliff, a professional photographer, took critiquing to Facebook Live for a fun, engaging event for his fans. In the example below, he encourages people to submit photos on his ‘Becoming an Artist' broadcast, on which he would pick a variety of the submissions and review them live on air. Throughout each critique, he offers tips and tricks to his viewers to better their photography skills. This is a great way to build trust & thought leadership within your community and highlight your knowledge in your area of expertise. Although he isn’t aggressively advertising his photography business, there's really no need to. Showing his knowledge will convince people to believe he can deliver exceptional work. This will subconsciously lead people to seek his services if they need/want it. One of the most common formats people have been using Facebook Live is AMAs (or Ask Me Anythings) with special guests that people might not otherwise be able to interact with. This technique attracts a large amount of people who wish to take advantage of the once-in-a-blue-moon opportunity. It also helps prolong the amount of user watch time, since users stick around to see if their question is picked. In the video below, Sephora invited Jen Atkin of Ouai Haircare and Christophe Robin Paris for a 30-minute block where they would talk about tips, trends, and beauty products. The format is casual, occasionally the guests will have informative discussions with one another while a participant off screen constantly asks questions as they come in from the live chat feed. For almost every questions asked, the two make sure to advertise their products as offer solutions to many of the viewers dilemmas. The result is many viewers researching the recommended products online, reading reviews, and purchasing them if they find interest in it. We all have a set of shows we binge-watch and obsess over. In some cases, we idolize an actor in it, the storyline, or both, and the creators and actors of the shows know it. This leaves a huge opportunity for the actors or show creators to connect with their audience to continue to create hype for their series. Arrowverse actor Stephen Amell does just that. Stephen does a variety of different live videos for his audience ranging from Q&As, behind the scenes peeks at the show, and sweepstakes and promotions. Below is one of his videos where he has a Q&A for the 100th episode of Arrow and advertises his 'F**k Cancer’ campaign. Similar to Sephora's Live video example, this gives fans the opportunity to indulge and engage with someone they may not otherwise have the opportunity to. It also ultimately helps the Arrow franchise overall by showing how its main character can be transparent with his fans and interact with them on a much more casual level. Videos like this also enable Stephen to raise awareness for the F--- Cancer campaign that he holds dear to him, which he discusses in this video and others as well. One of the most useful outlets for Facebook Live we have yet to talk about is the concept of a daily show or series. This format enables those using Facebook live to create a consistent following that will continue to digest their content. Live videos like this that can deliver a ton of important trending information is a short period of time are fantastic ways to attract users who want to stay up-to-date, but don’t have time to do so. They also take a minute to answer viewers questions and discuss comments at the end of the video, another useful way to create viewer engagement with the creators. In this day and age, more and more people are looking for motivation to stick to their diet and workout plans (especially during colder seasons). Luckily, Kohl’s understands that struggle and decided to help those looking for encouragement in 2017. Last week, Kohls teamed up with ‘Tone it Up’ to host a live workout for their #GetActiveWithKohls campaign. The women behind Tone it Up took to a stage for basically a live workout video. Now, the timing for a video is key. With the new near just arriving, there's a huge audience of people looking get back into shape after the holidays. Hosting a video to attract those looking for fun and unique workout opportunities at this time was a great way to capitalize on this new year trend. Need a new workout wardrobe? After watching this video, Kohls hoped that it would be the first thing in your mind. While the video didn’t vocally promote retailer, visiting the website (as of the third week of January) reveals an abundance of sales they are currently having with fitness gear and clothing. Last, but not least thanks to Facebook Live, you don’t need to produce a complicated, high-quality video to deliver valuable information to your audience. As long as its informational and offers value to your audience, you'll be able to find some success. Take this Bloomberg video, our final example. As an industry leader in the stock market, Bloomberg knows its following would be interested in hearing updates on its status and what charts should be focused on. As mentioned, the video doesn’t take place in a beautiful studio utilizing eye-catching graphics and images, but rather in an office, using a computer monitor to show the charts as needed. The video is kept short at just below 15 minutes, so people can quickly update themselves on their priorities in the market, then go about their day. Like other examples, Bloomberg also ends with a Q&A to make sure viewers are getting the most information they can during their short broadcast. Is your business struggling to find value from social media marketing? In this free guide, learn how to transform your social media marketing efforts from a routine to a critical component in achieving your business goals. Does Facebook Live Video Matter Anymore?